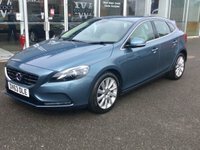 VOLVO V40 SE LUX 2.0 D3 5 DOOR DIESEL AUTOMATIC HATCHBACK FINISHED IN BIARRITZ BLUE METALLIC WITH FULL BEIGE LEATHER HEATED FRONT SEATS. FULL VOLVO SERVICE HISTORY. 2 KEYS. MOT'D UNTIL MARCH 2020. THE SPECIFICATION INCLUDES, £3335 EXTRAS - GEARTRONIC TRANSMISSION, METALLIC PAINT, HIGH PERFORMANCE MULTI MEDIA SYSTEM, DAB RADIO, REAR PARK ASSIST, SPARE WHEEL AND JACK, FLEXIBLE LOAD FLOOR WITH BAG HOLDER. 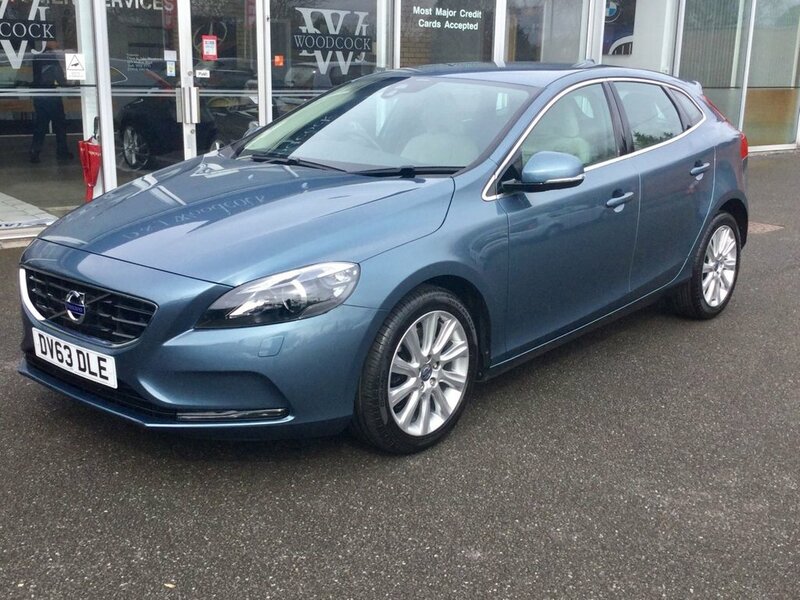 DUAL CLIMATE, XENONS, HEADLAMP WASH, AUTO LIGHTS/WIPERS, USB, ABS, FULL LEATHER, HEATED FRONT SEATS, POWER FOLDING DOOR MIRRORS, 17" ALLOYS, BLUETOOTH, CRUISE CONTROL, SPEED LIMITER, REMOTE CENTRAL LOCKING, STOP/START, DAYTIME RUNNING LIGHTS. THE CAR LOOKS AND DRIVES SUPERB AND ANY TRIAL OR INSPECTION IS ALWAYS WELCOME TO APPRECIATE THE QUALITY ON OFFER. #### Established in York Over 30 Years #### Reserve this Car with a Small Deposit #### Please Note All Our Vehicles Are Supplied With A Clear HPI Report Free Of Charge.